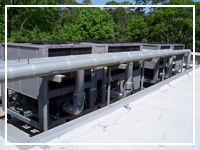 Lange Mechanical Services, L.P., is a limited partnership; HVAC full service mechanical contractor founded in 1981. The mission of the company is to value our employees and customers first. We are a company that provides flexible, scaleable mechanical and energy management system services to the healthcare, education and commercial building marketplace. It is our mission to consistently serve customers with pride, integrity and professionalism, while continuously exceeding their expectations. We think it is important to emphasize the two main strategies of our company which are Employer of Choice and Account Management. Our Employer of Choice focuses on strategy providing a quality work environment through employee development and pay for performance. As importantly, our Account Management Strategy focuses on higher quality customer relationships with fewer customers. 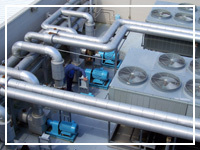 Lange Mechanical works directly with facility owners and operators and is able to meet all types of facility needs with a broad range of solutions to maintenance, indoor air quality, outdated HVAC systems, Building Automation Systems, and energy efficiency issues. Lange Mechanical Services has highly-trained crews of certified technicians, pipe fitters, welders, sheetmetal and control technicians that are experienced in wiring, installing, piping, ducting and commissioning of all HVAC products and systems. Our goal and extensive experience allows us to deliver cost effective, high quality installations with minimal disruption to the customer’s daily business. We understand the negative affect change-outs can have on businesses and operations, and we accomplish less downtime and a seamless change-out. 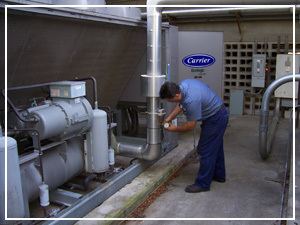 Regular, scheduled maintenance protects your investment Lange Mechanical can help lower energy costs, and can help identify and repair a potential problem before it becomes a major failure. All technicians are factory trained and certified by the major manufactures. Lange Mechanical has implemented one of the industry’s highest quality Safety Programs. 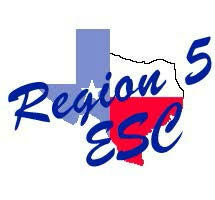 Each technician participates in an in-house career development program, designed to help build skills.